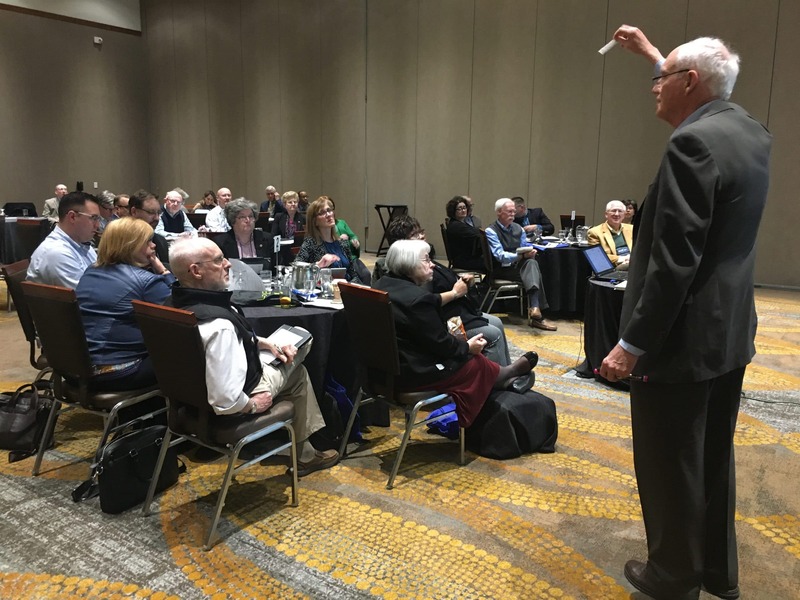 The Mid-Atlantic United Methodist Foundation (MAUMF) hosted its spring meeting, Board Governance – “Designing for Change,” in conjunction with the annual North East Jurisdiction National Association of United Methodist Foundations Meeting, on April 3 & 4, 2018 in Baltimore. With the goal of all attendees developing and leaving with a “Personal Action Plan” for their organization, the event included fast-moving presentations followed by conversations and collaboration in a small group format guided by a coach/facilitator from the Mid-Atlantic United Methodist Foundation. Jack Brooks, Executive Director of MAUMF, delivered opening remarks focusing on the need for all foundations to be planning for change at a time when change is imminent. Reverend Lawrence Pelham then kicked off the workshop with his session, Designing for Change. He introduced attendees to the powerful process of designing for change based on the six sigma methodology for addressing change. Key concepts that were introduced included Change is Always Occurring (Regular Change and Special Change), Six Sigma Is a Methodology and Toolkit, and Key Principles (start & end with the customer, align work (design) with organization (Foundation) strategy, everything is a process, fact-based decision-making, results-driven; accountable financial results, sustainable solutions, communicate, document. 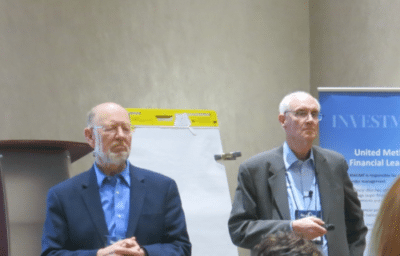 In the next session, Leading Change, Reverend Dr. Andy Lunt and Ted Brown provided a key framework and essential tools for leading change. They stated that while most leaders wish to change their organizations, only 30% of transformation efforts succeed and it is therefore important to perceive the need to change, understand all of the elements of change, and guide the leaders and others through the change. They explained that successful leaders must lead from one organizational life cycle to the next, and employed a variety of post-session table exercises. Recognizing that change can often mean conflict, Reverend Dr. Karin Walker delivered the next session, Managing Conflict in a Sea of Change. She stated that the rate of change is directly correlated to the level of conflict, meaning that abrupt change creates very high potential for conflict, and provided four critical tools to manage whatever level of conflict arises: script the critical moves, imagine the best, find the bright spots, and clarify all changes. Closing out day one’s sessions, David Cyphers, President of The Cyphers Agency, focused on establishing your organization’s brand in Communicating and Marketing Change. He presented several key themes: Establishing a brand image, Building your marketing from your brand, and Establishing that during periods of transition and change, it is important that your audience understands your brand and how you can be help during periods of uncertainty. At dinner that night, Rex Jones, from Hope Christian Community Foundation, delivered a keynote address on the concept of Community Foundations. Quoting Ephesians 2:10 – For we are his workmanship, created in Christ Jesus for good works, which God afore prepared that we should walk in them.” – he stressed that God owns it all and that we must remember the ultimate purpose. He noted that successful organizations are all about people and relationships and that, on an individual level, success is about how much we give away. 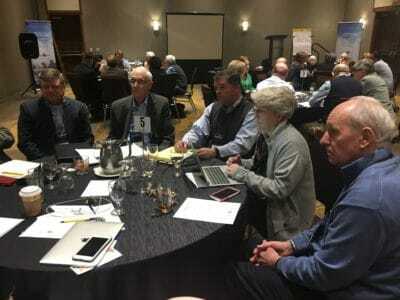 The second day of the meeting honed in on the nuts and bolts of change with two sessions, Fiduciary Considerations for Change and Legal Considerations for Change. In the first, Ken Mathis and Scott Reed, both from the financial services industry, discussed what investment strategies organizations can employ for short- and long-term growth, while the second consisted of a panel discussion on topics including Articles of Incorporation IRS 501-C Designation, Group Letter Ruling Bylaws, and State and Local Laws. 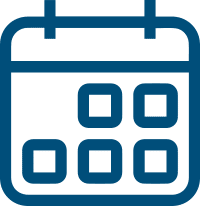 From the first session to the seventh, the meeting not only provided all attendees with a great deal of information but also with the personal action plans that they’d come for.